Whether you choose the Hunter Valley, Newcastle or Port Stephens you will have hit on a region rich in golfing treasures.Each region can boast numerous top-quality golf courses and venues and over the next few pages we feature a selection of the finest in these areas. From the championship layouts of Pacific Dunes, Hunter Valley Golf and Country Club and Horizons to the friendly club atmosphere of Waratah and others, these popular golfing destinations have it all. For golfers who are easily distracted there are magnificent beaches and wineries and mountains further inland. There’s plenty to see and do so take your time to explore and make sure you acquaint yourself with the locals, who are always friendly and go out of their way to make your golfing holiday worthwhile. There’s plenty of comfortable accommodation and the entire region really is a one-stop golfing playground. So, what are you waiting for; isn’t it time to get acquainted, or re-acquainted, with some terrific layouts in New South Wales? Port Stephens has it all – crystal clean waterways, glorious beaches, untouched national parks and a host of fun packed sporting and recreational activities. All this just 2½ hours drive north of Sydney – absolutely perfect for a few days away. Despite the scope and range of its attractions, Port Stephens remains untouched by the commercialism of many other popular short break destinations. All you will find is the opportunity to relax, enjoy and partake of the area’s delights at your will, at any time of the year. 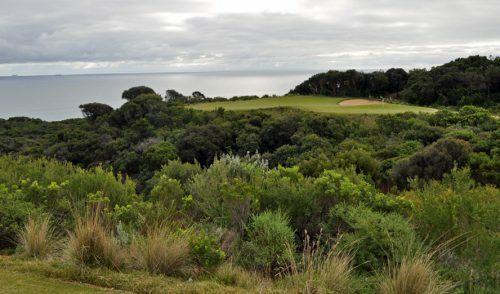 Since opening in 2005, Pacific Dunes Golf Club has quickly established a reputation for being among the best golf courses in New South Wales. Located in the picturesque Port Stephens region on New South Wales’ lower north coast, Pacific Dunes Golf Club is the centrepiece of the $180 million Pacific Dunes golf and residential community. The course measures 6402 metres in length and combines spectacular natural lakes and wetlands with native Australian flora, to create an impressive 18-hole layout. The two distinct nine-hole loops allow golfers to experience two very different styles of play on the one course. The club is managed by Troon Golf, the world’s largest golf course management company, ensuring the highest quality service both on and off the course, from course conditioning to practice facilities to clubhouse amenities. The club offers golfers much more than just a stunning 18-hole James Wilcher-designed layout, with the golf club’s restaurant ‘The Dunes’ offering the perfect venue for a meal or post-golf celebrations for a corporate day. The Pacific Dunes Summer House Function Centre, which opened in 2008, provides a unique conference or function venue with stunning views overlooking the golf course. Pacific Dunes also has a dedicated team to help manage all aspects of corporate golf days – from merchandise to signage to menu packages. Combining one of Australia’s leading layouts with world-class entertaining facilities makes Pacific Dunes the ideal location for your next visit to Port Stephens. 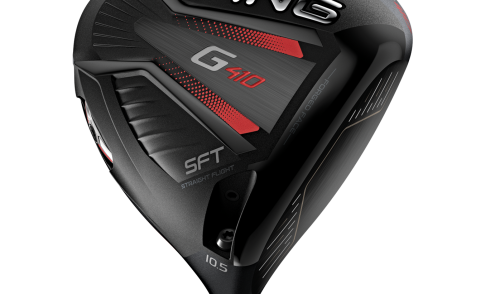 For more information telephone (02) 4916-0500 and arrange your golf getaway. WARATAH Golf Club is not only the oldest club in the Newcastle area, but one of the most welcoming and best value options in the district. On Mondays and Tuesday locals and visitors can play 18 holes for $13 and on other days you can get on for $20 after 1pm. And the competitions are open to visitors. Club professional Matthew Stapleton said the golf course was in fantastic condition. “All the bunkers have been redone, the greens are great and a lot of the trees have been cleared out so it’s pretty easy to find your golf ball. “But the par-3s are the key to Waratah,” he said. “They are quite difficult, but the par-5s are quite generous. Stapleton said the 296m par-4 seventh was the feature hole. 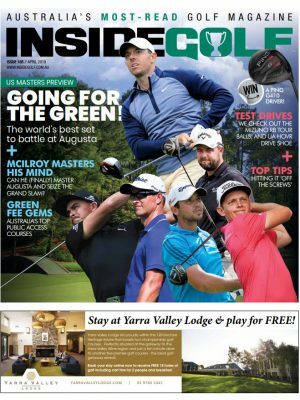 Two players who have cut their teeth at Waratah are Nathan Green, currently playing the US PGA Tour, and Andrew McCormack – one of the big guns in Newcastle and arguable the area’s most popular PGA member. Green holds the course record with a nine-under par 62. McCormack went one better, but because it was not in stroke conditions he couldn’t claim the record.One of the delights of visiting Waratah is sitting on the balcony that overlooks the 18th fairway with a cold drink and watching golfers play the last. It’s also an ideal venue for weddings and functions. Waratah Golf Club is situated right next door to Lake Macquarie’s newest accommodation house, the Macquarie Inn. The club has been quick to organise play-and-stay packages with the four-star operation. 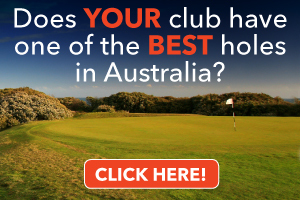 For more information about tee times call the club on (02) 4958-1847 and for play-and-stay packages call the club or the Macquarie Inn on (02) 4958-8499. ONE of the great advantages of playing Hunter Valley Golf and Country Club is you won’t have your golfing ego bruised. Like a fine glass of red wine, a game here will be good for you. “It’s an ideal, all-round, user-friendly golf course,” said golf director Troy Martin. “This place doesn’t tear your heart out. Overall it’s a straightforward, challenging course devoid of any tricks and crazy architectural whims. One of the features is the redesigned 18th hole, which has been lengthened from an overly demanding par-4 to a risk-and-reward 454m par-5. It’s a dog-leg right to left, but golfers have to rifle their tee shot from a tree-lined chute and avoid water on the right and out of bounds down the left.Find the fairway and it’s an easy lay-up to the valley in front of the green. From there it’s a wedge to the green. The 167m fourth hole is a beauty. A water carry from tee to green means an accurate mid- or long-iron must be played. There is a bail out to the right for golfers afraid of water. Registered social clubs keen to spoil their members should take advantage of the club’s current promotion. With the cost at just $45, including green and cart fees, groups of 16 or more would be hard pressed to find a better deal anywhere. “We are accessible, not overly-priced and would love them to come along at that rate,” Martin said. The golf course surrounds the 4.5-star Crowne Plaza Hunter Valley, which offers hotel rooms and villas, three fantastic restaurants and a very good 19th hole. 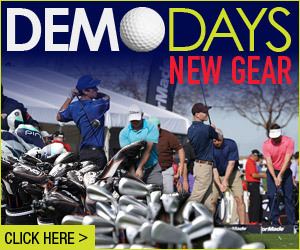 It’s open to golfers seven days a week. LESS than two hours drive north of Sydney and surrounded by picturesque vineyards and its own golf course, this award-winning hotel epitomises the best of hospitality and is centrally located making it the perfect place for a carefree break. The hotel offers deluxe hotel and villa-style accommodation. The villas are only steps away from the dining options and activities and are ideal for families, featuring two bedrooms and bathrooms and a huge living area with a kitchen allowing guests to prepare their own meals. There are also three TVs with a range of children’s and mainstream movies on demand. The hotel has the only full-time, purpose-built supervised space for children of any accommodation in the region. While the kids make the most of the indoor and outdoor play equipment, evening cinema and supervised activities, parents can sneak away to take advantage of the hotel’s leisure facilities including a heated pool, 18-hole golf course, and tennis courts or to reward their palate in a choice of restaurants and bars. An absolute must is a visit to the hotel’s Tea Tree Spa, providing a fresh experience guaranteed to engage all your senses and rejuvenate your mind, body and spirit. Indulge in a Peaches and Cream Body Wrap, followed by a Vichy Shower Experience assured to relax and revitalise you. A comprehensive list of beauty and massage options is available to soothe and revive the soul, as well as private spa baths and twin treatment rooms for pure indulgence with a loved one. All this with a championship golf course right on the door step. For more details and enquiries log on to the website at www.crowneplaza.com.au/huntervalley or call the Crowne Plaza Hunter Valley on (02) 4991-0900 or 138-388. MORE than two million visitors can’t be wrong. That’s the number of people that pack their bags and head for the magnificent Hunter Valley each year. It recent years there’s been another good reason for tourists with a liking for golf to head for the region – the Greg Norman-designed The Vintage golf course. Located at Pokolbin, 10km north of Cessnock in the heart of Hunter Valley wine country, the championship golf course is bordered by vineyards and is beautifully integrated with spectacular valley landscape. The NSW Golf Association is so impressed with the world-class facility that is has taken its premier event, the NSW Open, there. This year’s event will be played from November 26-29. Norman has weaved his magic at The Vintage, which provides professionals and amateurs with a challenging and enjoyable experience. 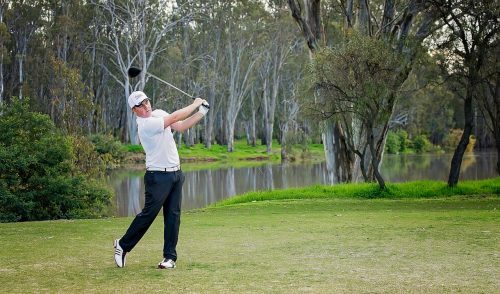 The 18-hole golf course, which stretches to 6310m off the back tees, winds gently around undisturbed wetlands, water carry lakes and towering eucalypts. Rated as being among the top two per cent of courses in Australia, The Vintage is a sheer pleasure to play – challenging but fair to all levels of players. The Vintage has a fully-serviced driving range, which is open seven days a week. The practice putting green is located near the golf shop and the practice chipping holes are located near the driving range. And if you forget to pack your clubs, don’t worry because The Vintage has some of the game’s leading brand clubs for hire. Golf lessons are also available.Anyone who plays The Vintage once will want to play it again so we suggest you take advantage of the stay-and-play packages. Another reason to stay is the facility borders Beggars Bridge and Bimbadgen Vineyards – two of the Hunter Valley’s finest wineries. For further information and golf bookings, contact The Vintage Golf Shop on (02) 4998-2208. For stay-and-play packages call (02) 4998-2222. PICTURE yourself kicking back here with a cold drink after a hard day’s golf at three picturesque Port Stephens courses. Right in the heart of Port Stephens, The Landmark Nelson Bay has stunning self-contained apartments offering an unrivalled view of the blue waters of Nelson Bay and surrounds. With studio, one-bedroom and two-bedroom apartments, there really is something to suit everybody. Take a short stroll down the road and there is a world of entertainment right on your doorstep from award-winning dining facilities to crystal clear waterways, and boutique shopping. Facilities include spacious lobby with a recreational area featuring pool table, games room and steam room. Outside is the sun deck and lagoon-style heated pool with outdoor spa. It’s all about location at The Landmark Nelson Bay and as well as being right in the heart of Nelson Bay the Resort is also well located to a number of championship golf courses. The 27-hole Nelson Bay Golf Course is located right next door while just 10 minutes drive away is the stunning Horizons Golf Course. The highly-regarded Pacific Dunes Golf Course is also located an easy 20 minute drive from the Resort with a James Wilcher-designed layout that combines two distinct nine-hole loops to create a spectacular 18-hole course. The Landmark Nelson Bay have golfing packages to suit your every need (see advert below) or you can ask the friendly staff to tailor-make something to suit. And best of all, they also do group rates do if your social club is looking for a weekend away make sure to ask when you book. www.landmarknelsonbay.com or call the resort on 1800 200 755. One Response to "A mix of NSW golfing magic"
Like this blog, all places looks very beautiful in the photos. 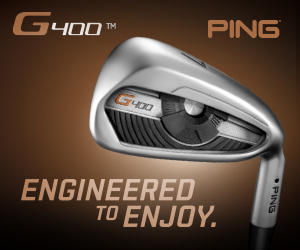 It’s the perfect place to play Golf.